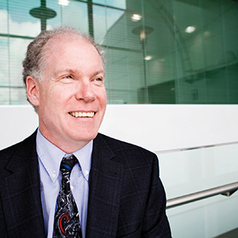 Professor Rodney Scott is an internationally recognised leader in cancer genetics. He has been instrumental in bringing the Hunter to the forefront of genetic research. Rodney has been involved with HMRI since it was established. His first appointment in the Hunter was in 1997 as Professor and Head of the Discipline of Medical Genetics at the University of Newcastle and as Director of Molecular Genetics, in the Hunter Area Pathology Service. In 2005 he was appointed the inaugural HMRI NBN Telethon Chair of Childhood Cancer in recognition of his outstanding research track record in genetic predisposition to malignancy. Rodney has significantly boosted the Hunter’s international research collaborations and continues to conduct research with colleagues in Europe as a Visiting Professor of Cancer Genetics at the Pomeranian Medical University in Szczecin, Poland. Rodney is involved with the HNEH Genetic Counselling Service and initiated testing for familial breast and colon cancer in the Hunter and New England regions to ensure early risk detection for these families that could lead to preventative strategies and better care of these families. With much foresight, Rodney formed a research collaboration with the computer scientists at the University’s of Newcastle which led to the establishment in 2006 of the University’s Priority Research Centre for Bioinformatics, Biomarker Discovery and Information Based Medicine. In recognition of this emerging field of research HMRI formed a new program in 2007 with Rodney as Co-Director of the HMRI Information Based Medicine Research Program. Through this collaboration Rodney is at the forefront of researching individually-tailored treatments for cancer and other diseases based on the detection of genetic patterns in diseases. This is an exciting new frontier in medicine and will lead to health improvements that are not possible with current approaches. This has led to collaborations with other HMRI Research Programs and he now has over 200 publications the genetics research spanning cancer, asthma, schizophrenia, multiple sclerosis and sudden infant death syndrome. He currently leads a program of over 30 research staff and is supervising 13 post-graduate students working on multiple aspects of genetic research.